It’s a quiet day today as Battle Bus moves south to Arras and the Somme. 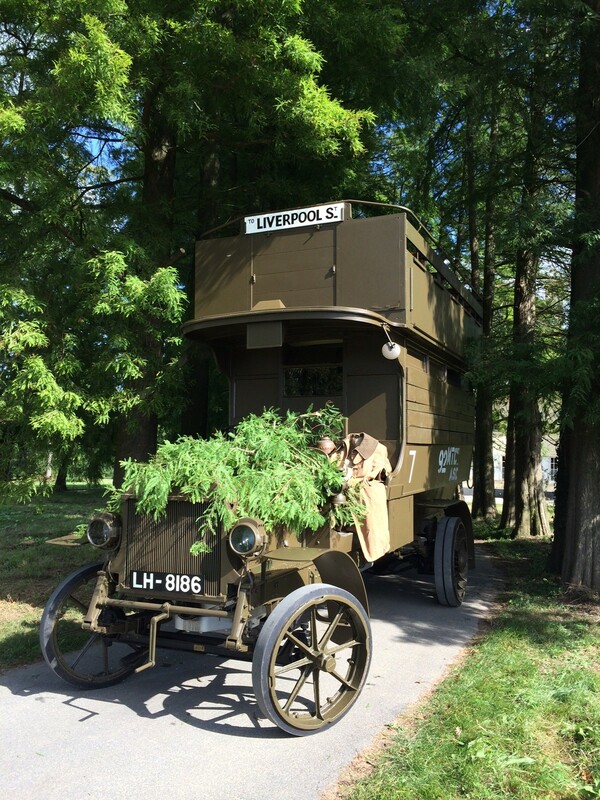 Our experiences of driving the bus around Ypres have already given us a greater respect for our First World War predecessors. A remarkable account is that of William Mahony, who volunteered in April 1915 aged 18 and was enlisted in the Army Service Corps. He was trained at Grove Park by LGOC instructors and by mid September was in France serving around Ypres. Wreck of a B-type Daimler bus at St Eloi, France. 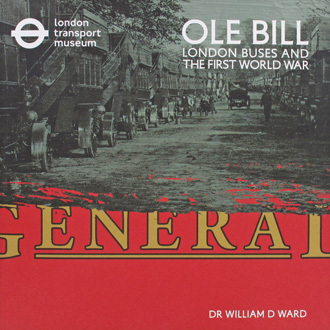 The bus was damaged by shell fire during service as a troop carrier in France, only two weeks after leaving Willesden Bus Garage. “Suddenly there was a terrific roar…the guns had fired simultaneously, the battle started. 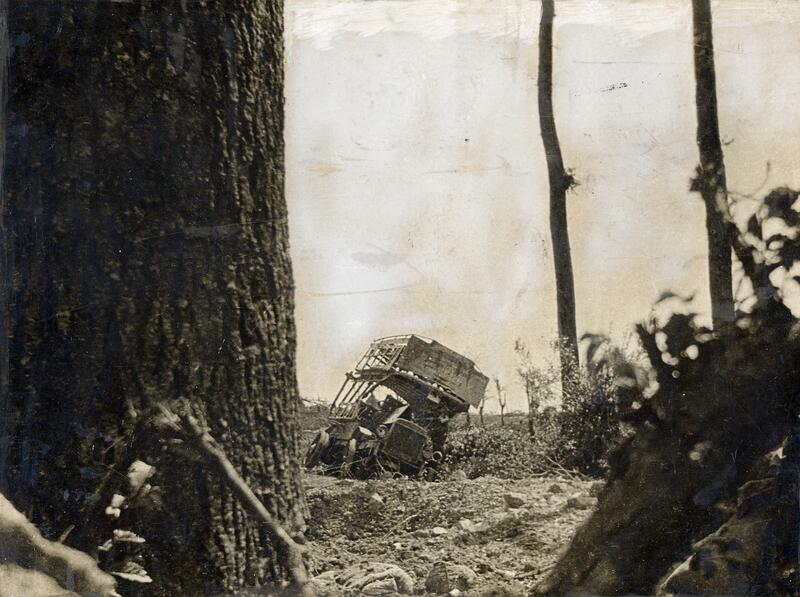 We climbed on top of the bus to watch the attack some two miles away but there were too many pieces of metal flying about so we came into the bus and peeped out of the window…by 9.30 the battle quieted down a bit and wounded began to arrive. These we took to Poperinghe repeatedly, returned for more. 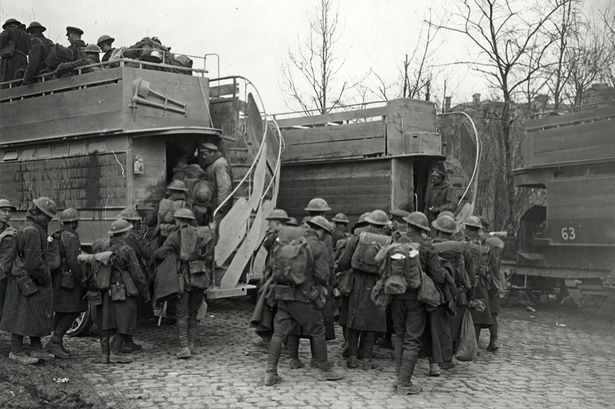 British troops board modified B-type buses at Arras, May 1917. The windows of the lower decks of the buses have been completely obscured by wooden planking, which was also added to the upper deck. At Christmas 1916, he draws the short straw and is detailed to drive a Royal Engineers band around to entertain towns and villages behind the line. Frost had caused his radiator to leak and boil over and then the fan belt broke; “I tied my braces around the fan belt and after one more stop we reached Cassle”. His engine catches fire and the 16 bandsmen on top of the bus who were in such a hurry to get out they throw their instruments over the side and fall over each other down the back stair. 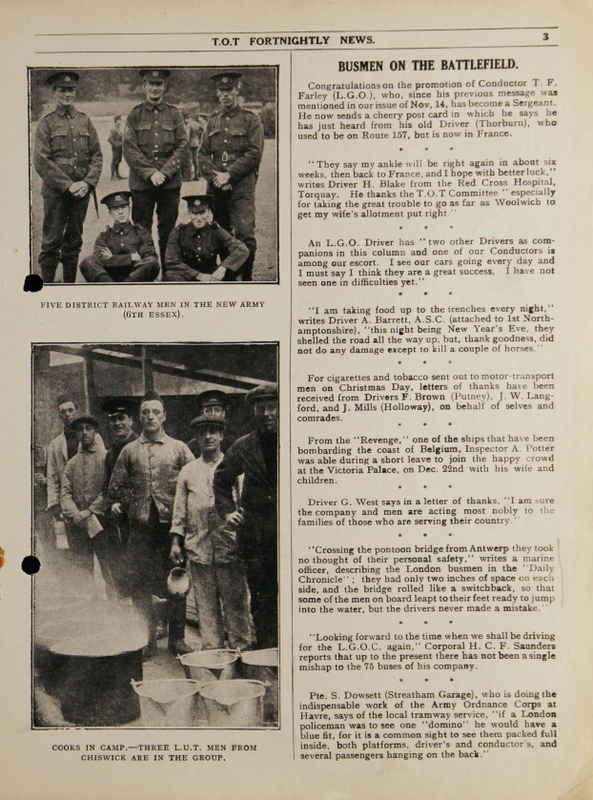 “The RE captain is now cold and in a terrible rages and threatens us with being shot at dawn…at St.Vanant W’s tyre comes off and at Bethune another man broke a spring and had to wait for the last bus to borrow the jack. The buses were bad ones and this wasn’t our usual display.” In February, Mahony left the buses to join the Royal Flying Corps. You can see a copy of the Mahony’s published diary in the the Museum library *[compiled by Peter Mahony] Publisher: Hughes & Company, 2011 (the original diary is held in the University of Leeds Liddle Collection).